Extend DVI video signals’ effective range by 250 feet with twisted pair CAT5 cabling. 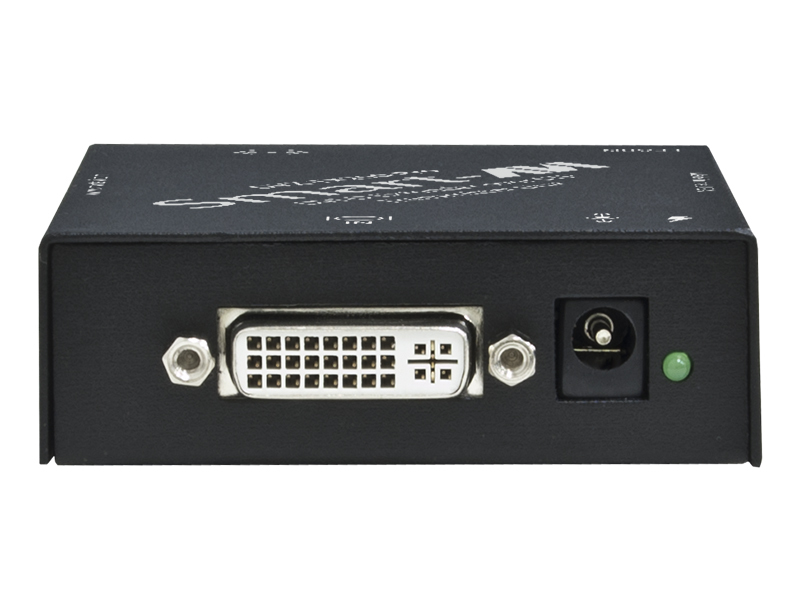 The DVX-200-Pro a single-link DVI-D extender that boosts DVI-D HD video signal ranges up to 250 feet via twisted-pair (UTP) CAT5 cables. 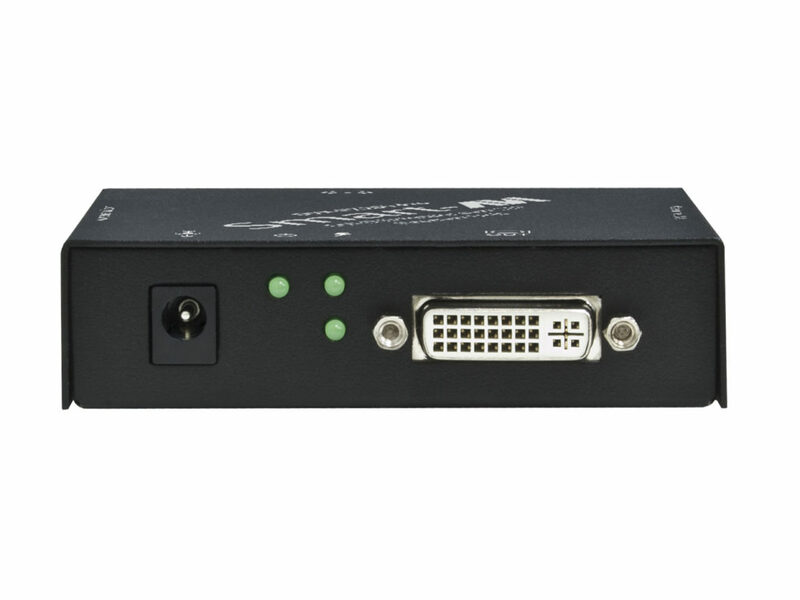 High Definition DVI-D Extension Featuring impressive signal extension up to 250 feet from a DVI-D video source, the DVX-200-Pro support uninterrupted 1080p (1920x1080) Full HD resolution picture delivered at high speeds with zero pixel loss. 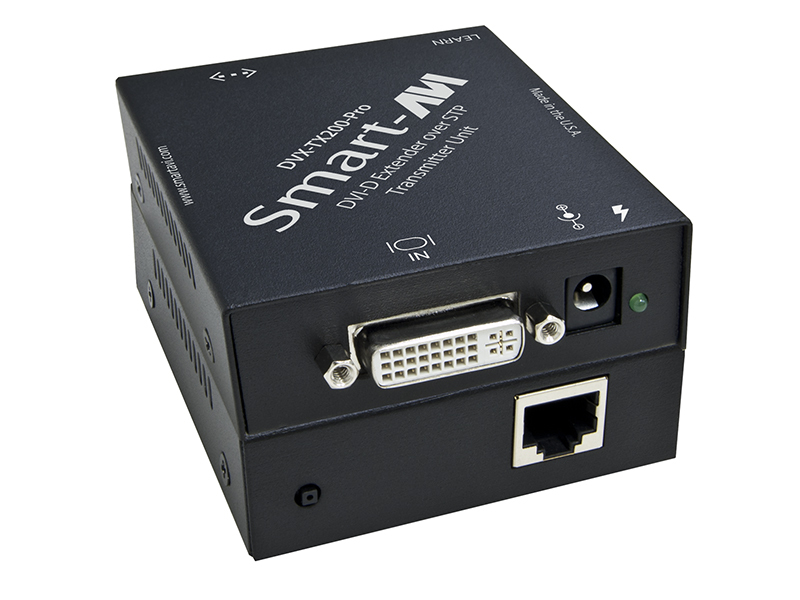 The DVX-200-Pro also offers fully functional DDC display learning for optimized output, as well as a plug-and-play design which makes it easy to install for users of all technical proficiencies. 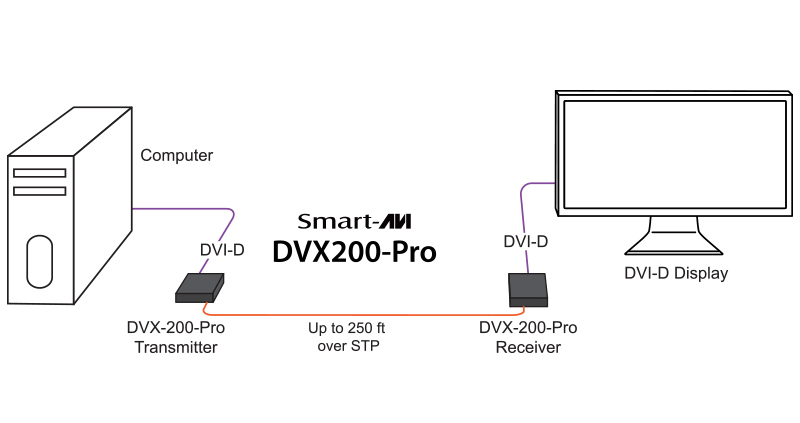 Cost-Efficient Cabling, Top-Notch Extension The DVX-200-Pro uses popular and reliable UTP CAT5 cabling to extend the range of DVI-D video signals. UTP CAT5 cables are inexpensive and feature stronger signal protection than single chord CAT5 extension cables. 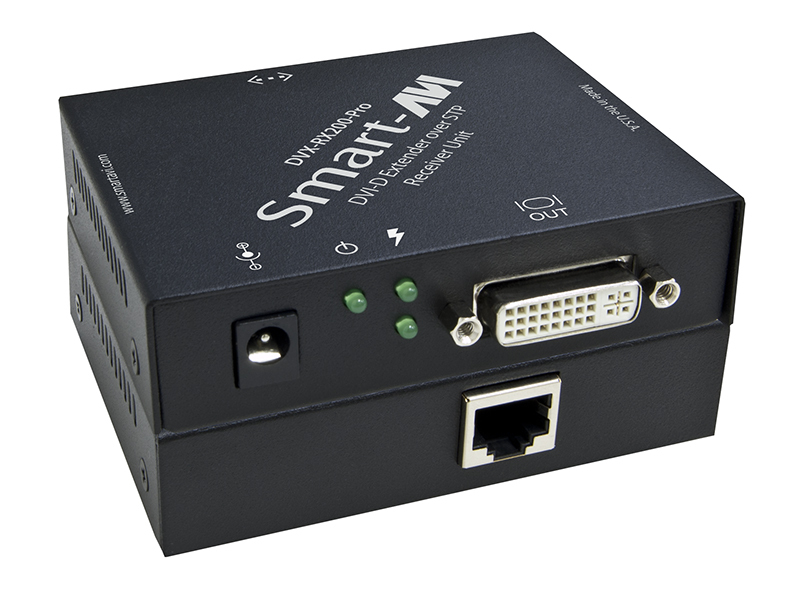 Better yet, the DVX-200-Pro excels at extending HD video content in environments like restaurants, entertainment venues, retail stores, schools, and home entertainment systems: for cost-conscious, powerful DVI-D extension, choose the DVX-200-Pro by SmartAVI! Airports (air traffic control, passenger information systems). Medical - using computer tomographs generates strong magnetic fields, which make it impossible to use monitors.